Súbele is a Latin Funk band blending Funk, Soul, Hip-Hop, R&B, House, Psychedelic, Jazz, Disco and Dance. They are all Homegrown in Chicago. An amazing city to grow up in for music lovers. Súbele is spanish for "Turn it up". A phrase we all say when we are enjoying something and want just a bit more of it. 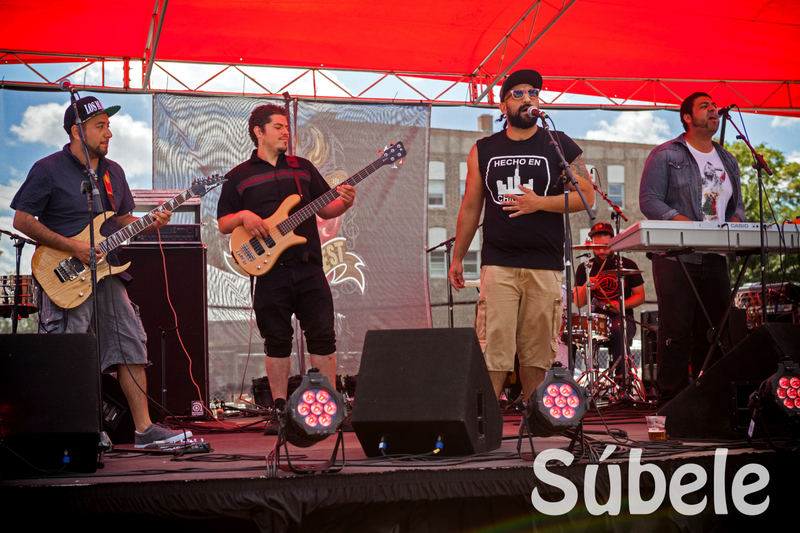 Súbele is a Latin Fusion band blending Funk, Soul, Hip-Hop, R&B, House, Psychedelic, Jazz, Disco and Dance with latin and tropical beats. They are a group of friends molding the sounds they grew up hearing at home or on the radio. Their sound appeals to both young and older audiences and since their debut they have performed for various : Music festivals, art galleries, music venues, fundraiser's, and organizations throughout the Windy City. ​Thank you for following, and remember, when you hear us, Súbele!